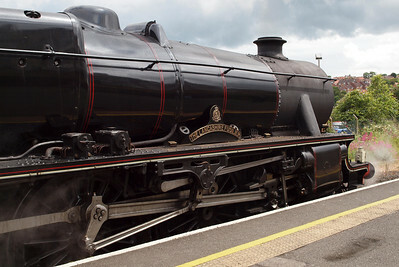 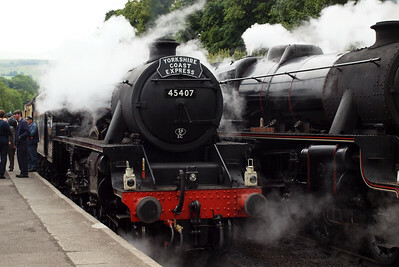 A trip out to the North Yorkshire Moors Railway, with a full journey undertaken. 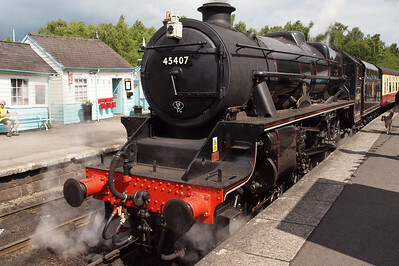 45407 The Lancashire Fusilier - Grosmont - Pickering - Grosmont - Whitby - Grosmont. 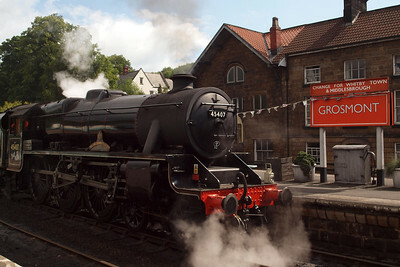 45407 The Lancashire Fusilier arrives at Grosmont platform 3 from the shed. 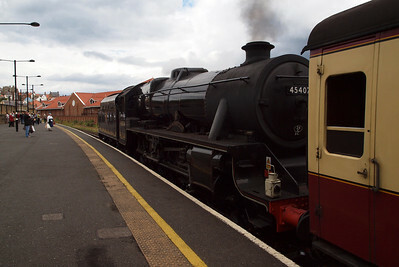 45407 sits with the 1030 Grosmont - Pickering at Grosmont. 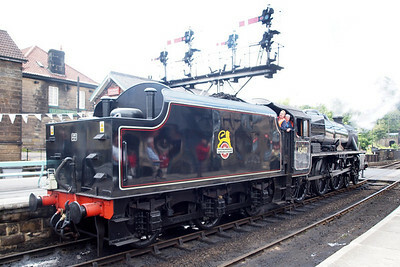 45428 Bishop Eric Treacy at Grosmont, bound for Whitby, with D7628 behind. 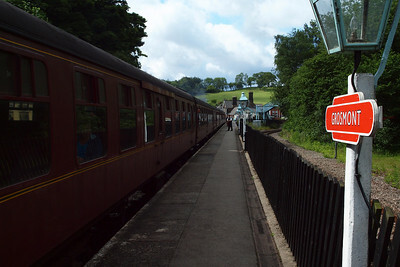 Grosmont station, with the Esk Valley line to the right. 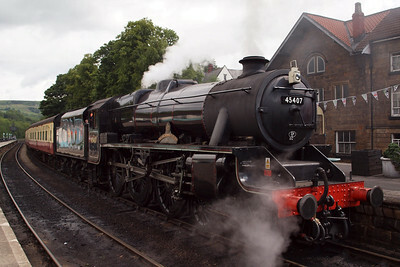 45407 waits for departure time from Grosmont. 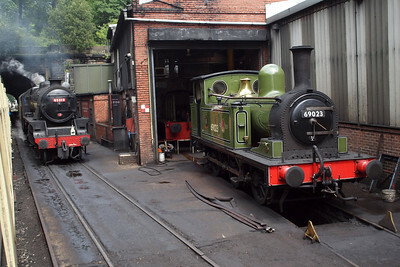 Joem sits outside the shed at Grosmont. 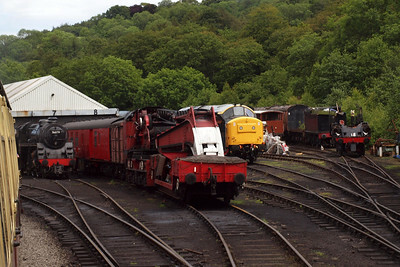 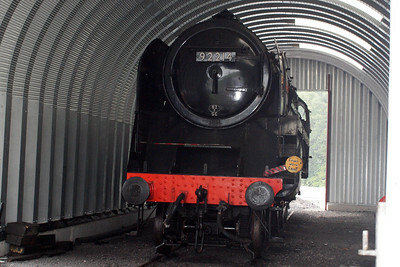 37264 hides away at Grosmont. 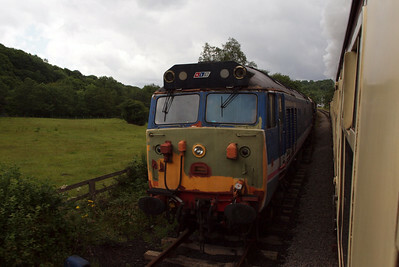 50017 Lion on the headshunt at Grosmont. 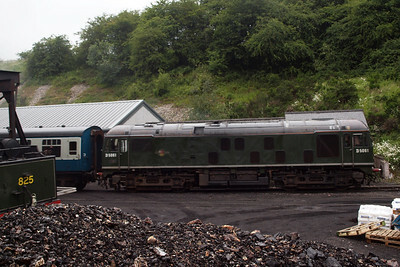 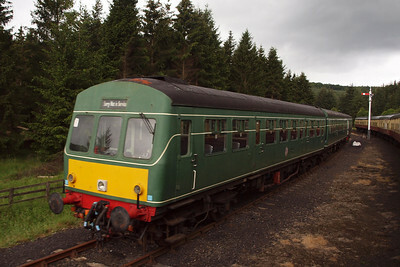 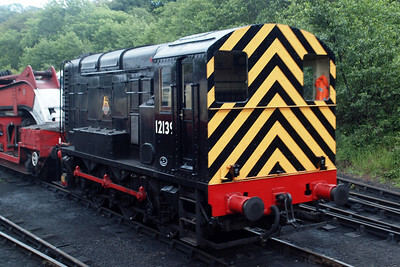 The Class 101 DMU at Levisham. 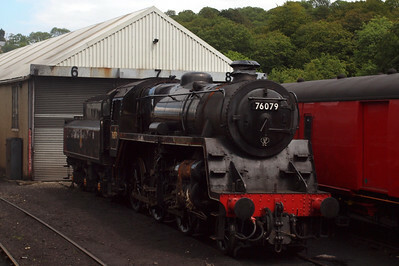 76079, the Pocket Rocket, at Grosmont. 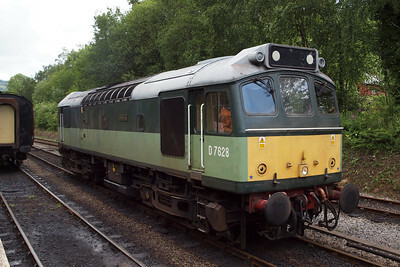 D7628 and the gronk at Grosmont. 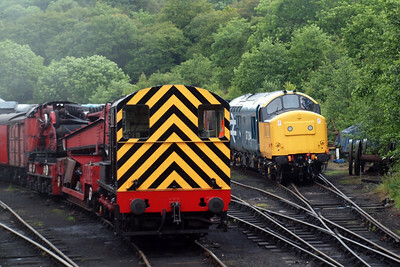 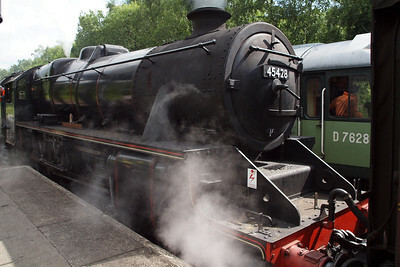 45212 and Joem at Grosmont. 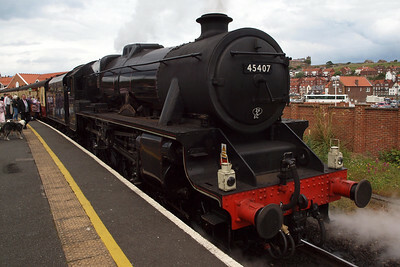 45407 propels the stock out of Whitby station in order to run round. 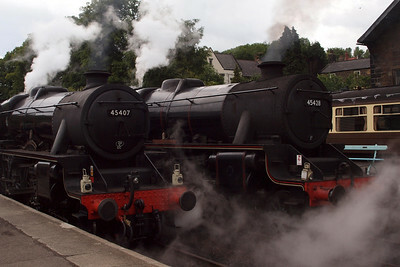 45407 and 45428 at Grosmont, side by side. 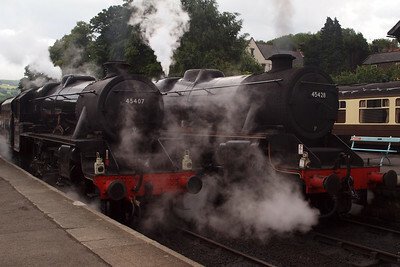 45407 and 45428 at Grosmont. 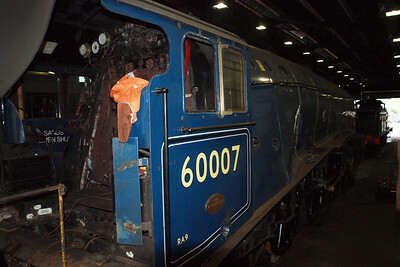 60007 Sir Nigel Gresley in Grosmont shed. 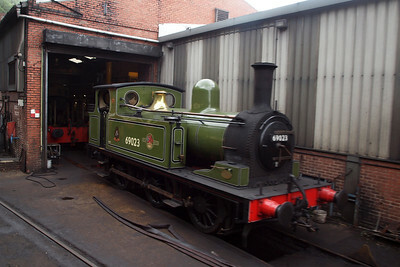 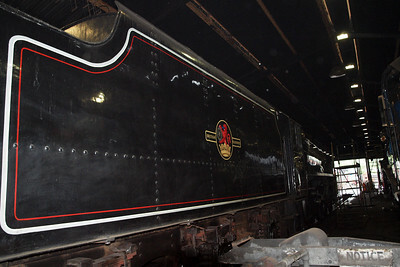 The LNWR "Super D" sits in Grosmont shed. 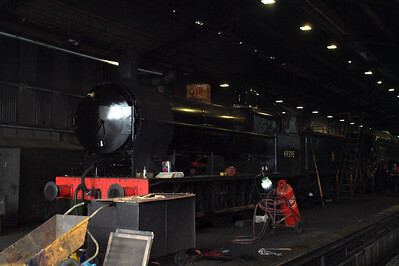 92214 in the wheel drop shed. 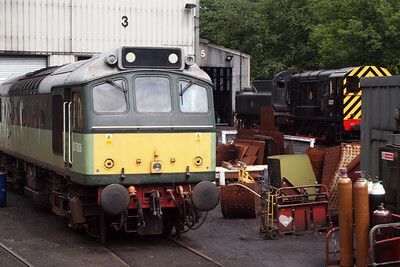 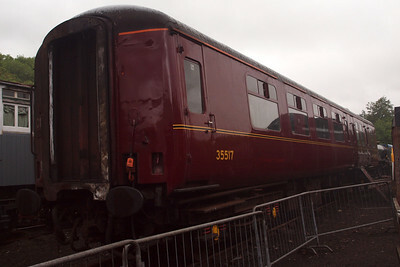 35517, Mk. 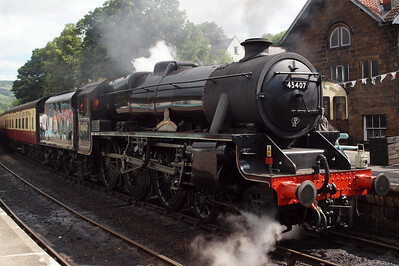 2A BFK, 45407's support coach. 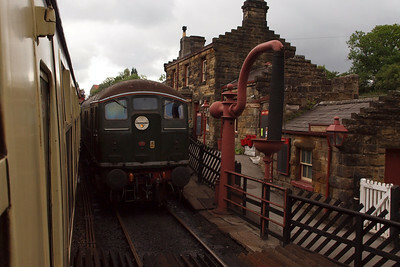 The Class 24 arrives at Grosmont.